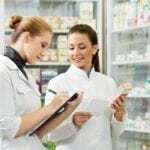 Pharmacy technicians use their training and education to manage the supply of medication in a pharmacy setting and assist pharmacists with administrative tasks and advisory services. In hospitals, their duties are more specialized and may involve the manufacture and preparation of complex medicines. 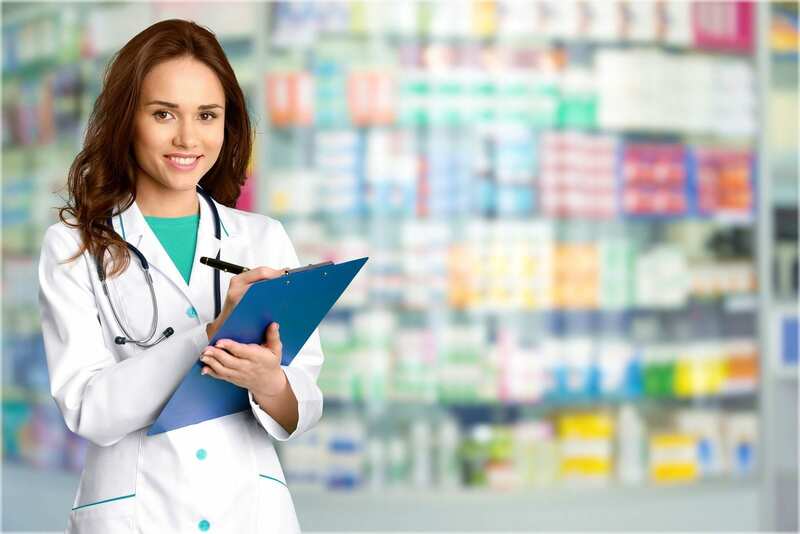 As a part of the pharmacy team, pharmacy technicians work under the supervision of a licensed pharmacist to dispense prescriptions, order items, receive and unload deliveries, generate stock lists, manage patient records, bill insurance companies, answer customer questions, prepare and package medications, and refer queries to the pharmacist. In hospitals, pharmacy technicians prepare a greater variety of medications and perform specialized tasks. For this reason, adequate training is essential to prevent mistakes during the preparation of patients’ prescriptions. Training to become a pharmacy technician usually takes 3 to 12 months. The training combines practical work with learning experiences in the classroom and includes instruction in pharmacy law, disease management, human physiology, and pharmacology. The pharmacy technician certificate program at Metro Technology Centers is open to students in the Junior and Senior year of high school. The career major prepares students for a career in in the fast-paced health care industry. It comprises of 720 hours of classroom lectures and clinical externship at a community pharmacy. Students learn medical and pharmaceutical terminology, classification of drugs, state and federal laws related to controlled substances, and drug names. Customer service and employability skills are also included in the training. Applicants must have reading and math skills at the 10th-grade level or above, good communication, an interest in a health career, good physical and mental health, a positive attitude, and be able to work with different personalities. Tuition is free for in-state students. The pharmacy technician training program at Heritage College prepares students for employment in an entry-level position in a pharmacy. The comprehensive curriculum focuses on the pharmacology, IV drug preparation, medical terminology, pharmacy law, drug compounding, narcotic controls, and IV drug preparations. The 34-week program includes 828.75 contact hours divided into 270 hours for lectures, 195 lab hours, 180 extern hours, and 183.75 outside preparation hours. Students earn 28.5-semester credits at the conclusion of the program. Applicants must have a high school diploma or GED equivalent and pass a criminal background check. Graduates will be able to work with prescriptions, create prescription labels, maintain a safe and clean environment, verify prescription information, prepare sterile intravenous medications, prepare medications that are commercially unavailable, and count medications into dispensing containers. Tuition for the program is $14,610 plus $890 for books and supplies. The pharmacy technician program at Moore Norman is a 144-contact hour course that prepares students for an entry-level career in a pharmacy. Enrollment in the course requires a COMPASS score of 41 in Math or ACT score of 17 in the math section. Applicants who have a high school diploma will be eligible to sit the National Certification Exam. The curriculum includes theory and basic knowledge of drug calculations, pharmacy information systems, legal, and ethical considerations, and medical terminology. Students must not miss more than 10 unexcused hours and complete a 16-hour internship without incident. Classes meet Tuesday and Thursday from 5:30 pm to 9:30 pm. Tuition costs $590 plus expenses for books and supplies. The pharmacy technician program at Oklahoma City Community College emphasizes basic prescription and dispensing. The nine-week program includes 36 hours of instruction in the classroom. Lectures and practical instruction in the lab and clinical facility covers medical terminology, introduction to basic IV admixture, nomenclature, pharmacy law and ethics, computerized pharmacy systems, insurance restrictions, and basic pharmacy skill. Applicants must have a high school diploma or GED equivalent and good math skills. Classes meet Mondays and Wednesdays from 6:00 pm to 8:00 pm. The tuition, due at registration, is $480 and includes the two required textbooks.